This month, several RPG blogs are participating in May of the Dead. 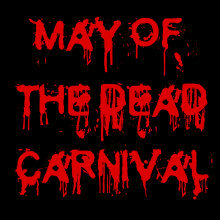 All month long, undead-themed posts will be available for zombie-crazed readers to devour. For my offering, I wanted to look back at a classic D&D product with a strong focus on the undead: the Silver Anniversary Edition of Ravenloft. As I wrote about in the very first D&Development column, my introduction to roleplaying was via a diceless playground session during one afternoon recess my 5th grade year. My friend, the Dungeon Master, ran the adventure from memory, and likely took many liberties with it. Though the details are fuzzy, I still remember encountering Count Strahd and his creepy castle home. I never played the original Ravenloft module more formally, though I did spend much time playing and DMing in the Ravenloft campaign setting in the early 90s. Last fall, I was perusing the used item shelves at my local game store during a 50% off sale. While the selection was heavy on the hardcover AD&D books, it was very light on adventures, which I was most interested in. I did manage to find a copy of the Silver Anniversary Edition of Ravenloft, for a reasonable $5 on sale. I’d have preferred an original, but still, you can’t beat that kind of value. 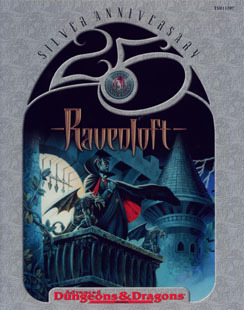 While Ravenloft was originally released for 1st edition AD&D back in 1983, this Silver Anniversary version was published in 1999, the 25th anniversary of the D&D. (It’s hard to believe we are coming up on 40 years so soon.) This version of Ravenloft has been converted to the 2nd edition rules that were in effect at the time. Though I don’t have an original to compare to, I suspect that the layout is new, and that non-mechanical tweaks have been made throughout. Still, it’s a very nice presentation, as is fitting for such a well-known piece of D&D lore. Upon even a casual reading of the module, it’s clear that the main focus of the entire adventure is on the villain. Strahd von Zarovich is a great character, for many reasons, so I suppose his prominence makes sense. He is interesting from a gameplay perspective, with a formidable blend of vampire and necromancer abilities. Another interesting aspect is Strahd’s ties to the land; in a sense, the entire environment is an extension of Strahd himself. The vampire lord’s tragic backstory, revealed as events unfold, gives him far more personality and motivation than the stereotypical dungeon boss. Strahd is one of the definitive NPCs in D&D’s history. Another standout feature of Ravenloft is the innovative use of playing cards. Madame Eva, an NPC Vistani seer, performs a reading for the PCs. The module presents two different methods for this, one with a partial and the other with a full deck of standard playing cards. Tantalizing tidbits of information about what is to come are presented based on which cards the PCs draw. Props are always a great way to draw players into the game, and in this case, it couldn’t be any easier to find the prop, yet it’s still great thematically. The locations of key items, and even Strahd’s villainous goals themselves, change depending on what cards are drawn. This randomization adds a welcome level of replayability to the adventure. The Tarokka deck reading adds to the mystique and sense of immersion in Ravenloft. The legendary maps are very impressive. There are two covers to the module. 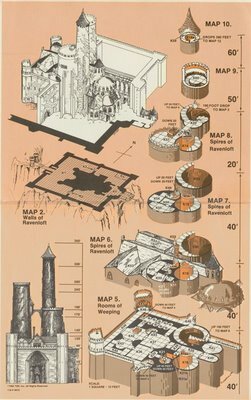 On the inside of each are two maps detailing Castle Ravenloft. They are, quite simply, gorgeous. Rendered in a slick three-dimensional view, these make the graph paper style maps of most other modules from the time look very plain in comparison. A more traditional hex map of the land of Barovia adorns the outside of the inner cover, printed in color. This map seems like overkill. There really isn’t much to it, due to the small scope of the environment, consisting mainly of the castle and a small village. Ravenloft is famous for having great maps, and the 3D views of the castle, in particular, certainly live up to the hype. The bulk of the module is devoted to the castle itself. For the most part, it is very much like a traditional dungeon crawl. However, the choices for monsters, and the tone of the very descriptive boxes of flavor text, give the “dungeon” a gothic horror feel. 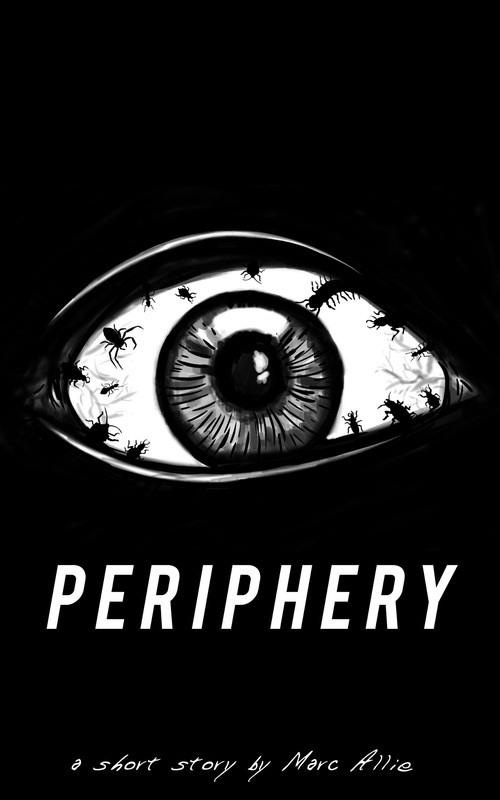 As you would expect, there are all sorts of undead, plus a good variety of wolves, spiders, and bats, for the PCs to fend off. When you are used to the longer, small number of fights in 4th edition D&D, it’s strange to see a dungeon like this, with dozens of encounters listed. 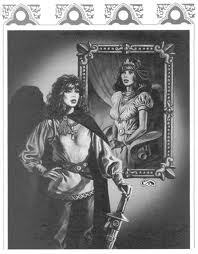 It reflects a different era in D&D history, and I look forward to trying to adapt a trip to Castle Ravenloft using the D&D Next ruleset. Though Ravenloft is unquestionably an excellent module, easily one of the best adventures of all time, it is not without its flaws. The initial hook is weak; the heroes walk through some magic fog, and end up in Barovia. There is a significant amount of railroading, as well. The party is hamfistedly prevented from leaving until Strahd is defeated. It’s clear that there is an emphasis on the plot, particularly Strahd’s actions, almost to the point that the PCs involvement is secondary. Combat and interesting encounters are largely absent, and quite simply not the point. These issues, though obvious, aren’t so distasteful that they detract from the overall excellence of Ravenloft. Many times, things that we are nostalgic for are disappointing when we experience them again. Many video games I remember spending many hours on as a child seem shallow and boring today. I was somewhat apprehensive that this would also be the case with Ravenloft. I was pleasantly surprised, however, by how unique and well crafted the adventure was, even almost thirty years after it was originally published. Strahd is a great villain, the maps are superb, and the use of props was certainly unique. The art, as well, is excellent, and among Clyde Caldwell’s best. I look forward to running a few sessions set in the gloomy environs of Castle Ravenloft in the near future.